We calculate the masses and residues of the triply heavy spin-1/2 baryons using the most general form of their interpolating currents within the QCD sum rules method. We compare the obtained results with the existing theoretical predictions in the literature. 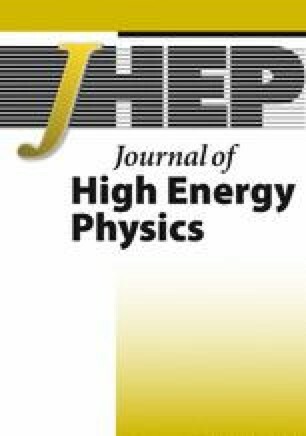 CDF Collaboration, D0 collaboration, T. Kuhr, Heavy flavor baryons at the Tevatron, arXiv:1109.1944 [INSPIRE]. T. Aliev, K. Azizi and M. Savci, Once more about the masses and residues of doubly heavy spin-3/2 baryons, arXiv:1208.1976 [INSPIRE].